The recent discovery of microRNAs (miRNAs) has revolutionized our understanding of gene control. Genetic studies in the nematode Caenorhabditis elegans (Figure 1) revealed the first members of what we now recognize as an extensive family of regulatory RNAs that exist in most multicellular organisms. Already there is evidence that specific miRNAs play key roles in controlling development, stem cell fates and neuronal differentiation, and mutations in human miRNA genes have been linked to oncogenic and other disease states. The Pasquinelli lab couples C. elegans genetics with molecular and biochemical techniques to understand the basic mechanisms of miRNA expression and function and to elucidate the biological roles of specific miRNAs in cellular differentiation programs. How is the expression of miRNAs regulated? MiRNA genes typically encode long primary transcripts (pri-miRNAs) that undergo multiple processing steps to generate the mature ~22 nucleotide miRNA (Figure 2). Many miRNA genes are expressed at precise times in development and in specific tissues. To understand how these temporal and spatial expression patterns are achieved, we study the transcriptional and processing events that cooperate to produce specific miRNAs at the right time and in the right place. How do miRNAs regulate gene expression? The miRNAs regulate specific genes by partially base-pairing to complementary sequences in the messenger RNAs (mRNAs) of protein-coding genes (Figure 2). The human genome contains over 700 different miRNA genes, each of which may directly regulate hundreds of protein coding genes. To help elucidate how miRNAs find and regulate targets with limited sequence complementarity, we have focused on specific miRNA genes and have performed genome wide analyses to identify potential targets. Regulation by miRNAs can result in degradation or translational repression of the target mRNA (Figure 2), but the molecular mechanisms behind these inhibitory strategies are not entirely understood. By studying defined miRNA and target pathways in C. elegans, my lab aims to elucidate how miRNAs control gene expression in the endogenous context. What is the biological function of miRNA regulatory pathways? Some miRNA genes, like let-7, are essential for normal development (Figure 1). The let-7 miRNA and its temporally regulated expression pattern are widely conserved across animal phylogeny and misexpression of this miRNA has been linked to cancer in humans. A goal of our studies on the worm let-7 gene is to understand the broad role let-7 plays in cellular differentiation events across species. Pasquinelli AE. A rADAR defense against RNAi. Genes Dev, 2018 Feb 1;32(3-4):199-201. Aalto AP, Nicastro IA, Broughton JP, Chipman LB, Schreiner WP, Chen JS, Pasquinelli AE. Opposing roles of microRNA Argonautes during Caenorhabditis elegans aging. PLoS Genet. 2018 Jun 21;14(6):e1007379. doi: 10.1371/journal.pgen.1007379. eCollection 2018 Jun. Broughton JP, Pasquinelli AE. Detection of microRNA-Target Interactions by Chimera PCR (ChimP). Methods Mol Biol. 2018;1823:153-165. doi: 10.1007/978-1-4939-8624-8_12. Azoubel Lima S, Chipman LB, Nicholson AL, Chen YH, Yee BA, Yeo GW, Coller J, Pasquinelli AE. Short Poly(A) Tails are a Conserved Feature of Highly Expressed Genes, Nat Struct Mol Biol, 2017 Dec;24(12):1057-1063. doi: 10.1038/nsmb.3499. Epub 2017 Nov 6. Schreiner WP and Pasquinelli AE. Making and Maintaining MicroRNAs in Animals, Chapter for “Essentials of microRNAs in neurogenesis: ontogenesis and plasticity of the mammalian neural system” 1st Ed. De Pietri Tonelli, Elsevier, 2017. Pasquinelli AE. A sense-able microRNA. Genes Dev, 2016 Sep 15;30(18):2019-2020. Broughton JP, Lovci MT, Huang JL, Yeo GW, Pasquinelli AE. Pairing Beyond the Seed Supports MicroRNA Targeting Specificity. Mol Cell, 2016 Oct 20:64:1-14. Broughton JP, Pasquinelli AE. A tale of two sequences: microRNA-target chimeric reads. Genet Sel Evol. 2016 Apr 4;48:31. doi: 10.1186/s12711-016-0209-x. Review. Van Wynsberghe PM, Pasquinelli AE. Period Homolog LIN-42 regulates miRNA transcription to impact developmental timing. Worm, 2014 3(4)e974453. Pasquinelli AE. MicroRNAs: heralds of the non-coding RNA revolution. RNA, 2015. 21(4):709-710. Mondol V, Ahn BC, Pasquinelli AE. 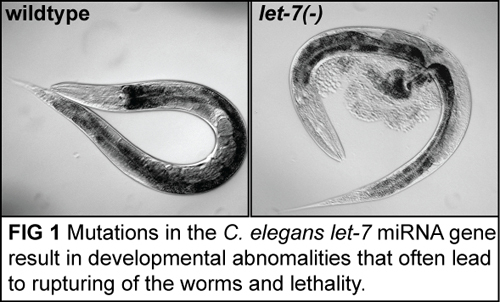 Splicing remodels the let-7 primary microRNA to facilitate Drosha processing in Caenorhabditis elegans. RNA, 2015 21(8):1396-1403. Van Wynsberghe PM, Finnegan EF, Stark T, Angelus EP, Homan KE, Yeo GW, Pasquinelli AE. The Period protein homolog LIN-42 negatively regulates microRNA biogenesis in C. elegans. Dev Biol. 2014 Jun 15;390(2):126-35. Fonslow BR, Moresco JJ, Tu PG, Aalto AP, Pasquinelli AE, Dillin AG, Yates Iii JR. Mass spectrometry-based shotgun proteomic analysis of C. elegans protein complexes. WormBook. 2014 Jun 24:1-18. doi: 10.1895/wormbook.1.171.1. Lima SA, Pasquinelli AE. Identification of miRNAs and their targets in C. elegans. Adv Exp Med Biol. 2014; 825:431-50. Massirer KB, Pasquinelli AE. MicroRNAs that interfere with RNAi. Worm, 2013 Jan/Feb/Mar;2(1):e1-6. Broughton JP, Pasquinelli AE. Identifying Argonaute binding sites in Caenorhabditis elegans using iCLIP. Methods, 2013 Apr 10. S1046-2023(13)00102-3. Pasquinelli AE. The primary target of let-7 miRNA. Biochem. Soc. Trans. 2013 Aug 1;41(4):821-4. Pasquinelli AE. A team effort blocks the ribosome in its tracks. Nat Struct Mol Biol. 2012 19(2):133-4. Mondol V, Pasquinelli AE. Let’s make it happen: The role of let-7 microRNA in development. In Eran Hornstein, editors: MicroRNAs in Development, CTDB, UK: Academic Press, 2012, 99:1-30. Massirer KB, Perez SG, Mondol V, Pasquinelli AE. The miR-35-41 family of microRNAs regulates RNAi sensitivity in Caenorhabditis elegans. PLoS Genetics. 2012 Mar;8(3):e1002536. Pasquinelli AE. 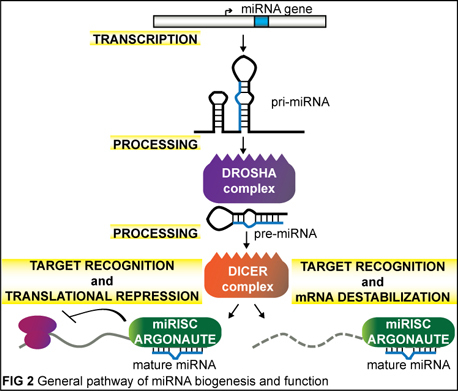 MicroRNAs and their targets: recognition, regulation and an emerging reciprocal relationship. Nat Rev Genet. 2012 Mar 13;13(4):271-82. Aalto AP, Pasquinelli AE. Small non-coding RNAs mount a silent revolution in gene expression. Current Opinion in Cell Biology, 2012 Jun;24(3):333-40. Zisoulis DG, Kai ZS, Chang RC, Pasquinelli AE. Auto-regulation of miRNA biogenesis by let-7 and Argonaute. Nature, 2012 Jun 28;486(7404):541-4. Pasquinelli AE. Birthing histone mRNAs by CSR-1-section. Embo J, 2012 Oct 3;31(19):3790-1. Van Wynsberghe PM, Kai ZS, Massirer KB, Burton VH, Yeo GW, Pasquinelli AE. Co-transcriptional association of LIN-28 with let-7 primary transcripts regulates miRNA maturation in C. elegans. Nat Struct Mol Biol. 2011 Mar;18(3):302-8. Zisoulis DG, Yeo GW, Pasquinelli AE. Comprehensive identification of miRNA target sites in live animals. Methods Mol Biol. 2011 732:169-85. Hinton A, Afrikanova I, Wilson M, King C, Maurer B, Yeo G, *Hayek A, *Pasquinelli A. A Distinct MicroRNA Signature for Definitive Endoderm Derived From Human Embryonic Stem Cells. Stem Cells Dev. 2010 19:797-807. Zisoulis DG, Lovci MT, Wilbert ML, Hutt KR, Liang TY, *Pasquinelli AE, *Yeo GW. Comprehensive discovery of endogenous Argonaute binding sites in Caenorhabditis elegans. Nat Struct Mol Biol. 2010 17:173-9. Kai ZS, Pasquinelli AE. MicroRNA assassins: factors that regulate the disappearance of miRNAs. Nat Struct Mol Biol. 2010 Jan;17(1):5-10. Review. Kai Z, Pasquinelli AE. A genome wide view of hunchback-like-1 targets. Cell Cycle. 2010 Jan 15;9(2):230-1. Godshalk SE, Melnik-Martinez KV, Pasquinelli AE*, Slack FJ*. 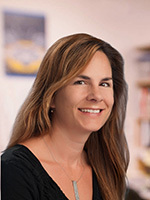 MicroRNAs and cancer: a meeting summary of the eponymous Keystone Conference. Epigenetics. 2010 Feb;5(2):164-8. Pasquinelli AE. Molecular biology. Paring miRNAs through pairing. Science. 2010 Jun 18;328(5985):1494-5. Bracht JR, Van Wynsberghe PM, Mondol V, Pasquinelli AE. Regulation of lin-4 miRNA Expression, Organismal Growth and Development by a Conserved RNA Binding Protein in C. elegans. Dev Biol. 2010 Dec 15;348(2):201-21. Holtz J, Pasquinelli AE. Uncoupling of lin-14 mRNA and protein repression by nutrient deprivation in Caenorhabditis elegans. RNA. 2009 15:400-5. Chendrimada TP, Finn KJ, Ji X, Baillant D, Gregory RI, Liebhaber SA, *Pasquinelli AE, *Shiekhattar R. MicroRNA silencing through RISC recruitment of eIF6. Nature 2007 447:823-828. Norden-Krichmar TM, Holtz J, Pasquinelli AE, Gaasterland T. Computational prediction and experimental validation of Ciona intestinalis microRNA genes. BMC Genomics 2007 8:445. Bagga S, Pasquinelli AE. Identification and analysis of microRNAs. Genet Eng (N Y) 2006 27:1-20. Pasquinelli AE. Demystifying Small RNA Pathways - A Meeting Review. Dev Cell 2006 10:419-424. Massirer K, Pasquinelli AE. The evolving role of microRNAs in animal gene expression. BioEssays 2006 28:449-452. Pasquinelli AE. MicroRNAs: a Small Contribution from Worms. In RNA Interference Technology: From Basic Science to Drug Development, ed. K Appasani. Cambridge, UK: Cambridge University Press. 2005. p69-83. Pasquinelli AE, Hunter SE, Bracht J. MicroRNAs: A Developing Story. Curr. Opinion in Cell and Devel. Biol. 2005 15:200-205. Bagga S, Bracht J, Hunter S, Massirer K, Holtz J, Eachus R, Pasquinelli AE. Regulation by let-7 and lin-4 miRNAs results in target mRNA degradation. Cell. 2005 122:553-563. Bracht J, Hunter S, Eachus R, Weeks P, Pasquinelli AE. Trans-splicing and polyadenylation of let-7 microRNA primary transcripts. RNA. 2004 10:1586-1594.